To begin writing your own code, we suggest you start by running one of our sample applications. Reach provides a Linux Development Virtual Machine (VM) with all the tools you need to develop a display module. The virtual machine is created with VMware Workstation version 9.0. To run the VM, you need to download the latest version of the VMware Player. Navigate to VMware’s web page, select Downloads, and then select Player. For the Major Version select the latest version and then click Download for your host architecture and operating system. Launch VMware Player and select Open a Virtual Machine. Navigate to the location of the Reach Linux VM and select the .vmx file. Now click on Play virtual machine. If you see a message about moving or copying the VM, click on the I Copied it option. Qt Creator for Reach Display Module Applications – This Qt Creator shortcut is configured for developing applications to run on the Reach display module. In this configuration, the Cross Compiler (see details below) path is added to Qt Creator for generating ARM executables that will run on the display module. Qt Creator for Desktop Applications – This Qt Creator shortcut is configured for desktop development. This allows a developer to code and debug a C/C++ application in the development environment. Although executables generated in this configuration will not run in the display module this configuration allows for a simpler debugging or prototyping environment. Serial Port USB0 – This is a GTKTerm instance configured for /dev/ttyUSB0. This is typically the debug console. Serial Port USB1 – This is a GTKTerm instance configured for /dev/ttyUSB1. This is typically the application UART. Connect to Server – This is a shortcut to open the Samba share running on the display module. After launching, select the following and click Connect. Download Reach QML Components – This is a Chrome shortcut that downloads the Reach QML Component library. 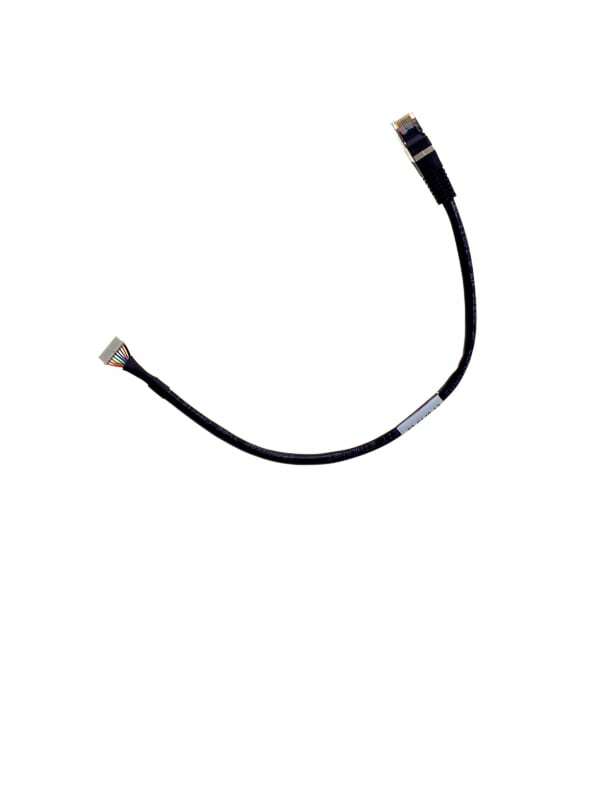 Once the installation is complete, connect the Development Kit Connection Cable (Part Number: 23-0161-72) to the Development Kit Connection Port “DEBUG” on the module. Next, plug the Development Kit Connection Cable into an open USB port on your PC. There are two choices for connecting the display module to your network; wired/Ethernet and wireless/WiFi. The wired solution simply plugs into your router using an Ethernet cable (Part Number: 23-0148-12) connected to the “ETHERNET” connector (and possibly the Ethernet Coupler and a user-supplied Ethernet cable). To connect via WiFi, plug the WiFi Dongle into the Standard USB Adapter, and attach the adapter to the USB Host “USB H1” on the display module. Once these connections are made, power on the display module. See the Networking page for more details. To write C/C++ applications that will run on the display module, the source must be compiled with a cross compiler. The cross compiler is installed in /opt/reach/1.6.3. The 1.6.3 directory contains the script environment-setup-armv5te-reach-linux-gnueabi. This script, once sourced (with the source command), adds the correct paths to the environment for cross compilation. When you’re ready to deploy your application to the display module, see the Linux Deploy page for more details. Your development kit ships with two microSD cards. Keep one of the cards as a backup so that you can always run the demo apps. DO NOT edit files on the backup SD card as you might not be able to get the demo applications running again. You may also want to download the factory-installed Demo Application, found in Demos and Examples. Extract the files from the G2Link .ZIP file into a convenient folder. Install Qt Creator. If it fails to load (and shows the error below), you need to install the Microsoft Visual C++ 2010 Redistributable Package (x86). Extract the files from the Samples.ZIP file into the desired folder. Inside the Samples folder, you will see EmptyProject, IOexample, MVC, and States. EmptyProject is a template we provide for you to use when starting new projects. The other folders are example projects. Extract the files from the Reach QML Components.ZIP file into the desired folder. Inside the Reach QML Components folder, you will see various files and folders, but the folder of interest is the “src” folder. In that folder, you will find the folders components, images, and js. These folders contain the latest version of the Reach QML components. You can copy these folders into your project folder, overwriting the existing same-named folders. Once the installation is complete, connect the Development Kit Connection Cable (Part Number: 23-0161-72) to the Development Kit Connection Port “DEBUG” on the display module. Next, plug the connection cable into one of the open USB ports on your PC. To upload programs to your module, you’ll need to locate the debug cable port. Windows should recognize the device as a USB to Serial adapter and install the appropriate drivers. If not, you may need to install the drivers manually. The display module has a USB slave serial port, implemented via the FTDI FT232R chip. The VCOM drivers make this port look like a standard COM port to the PC. Drivers are available at ftdichip.com. There are two choices for connecting the display module to your network. 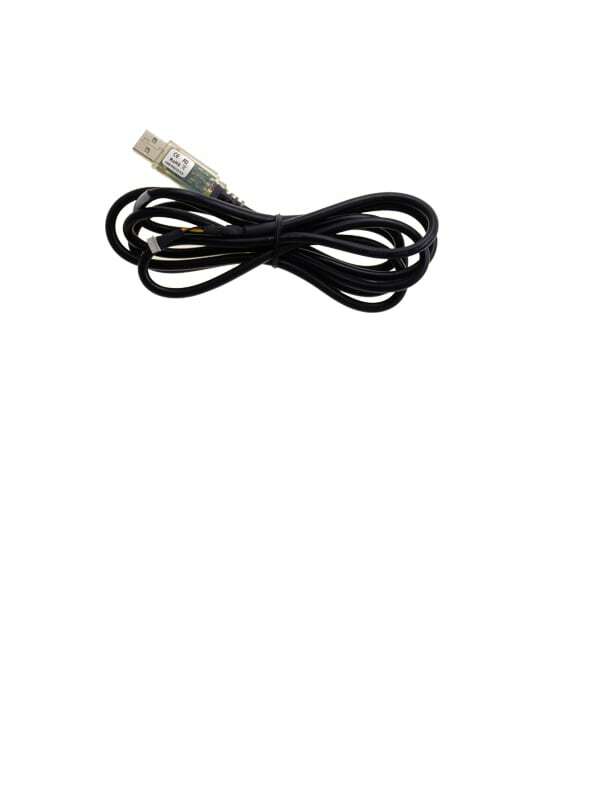 The wired solution simply plugs into your router using the supplied Ethernet Connector (Part Number: 23-0148-12) connected to the “ETHERNET” connector (and possibly the Ethernet Coupler and a user-supplied Ethernet cable). To connect via WiFi, plug the WiFi Dongle into the Standard USB Adapter, and attach the adapter to the USB Host “USB H1” on the display module. Once these connections are made, power on the display module. Windows should detect and install the needed drivers. Browse into your “G2Link” folder and run “G2Link.exe”. Once G2Link has started, click Select Serial Port and pick a serial port from the drop down box. Then click Apply and Close. On Windows, the port is usually COM4 or greater. G2Link will connect directly to the display module. If the program says, “Waiting for Target,” on the selected port or says, “Target not responding,” make sure the display module is plugged in and powered up. If you chose to use the Wifi dongle to connect to the network, click the Network Setup button, then click I’m using a wifi dongle to connect to the network. Ask your network administrator for your SSID and network password. More details are on our Networking page. There are several buttons in the middle of the G2Link window for interacting with the display module. These buttons send commands to the display module. These are described on the G2Link page. In G2Link, click on the Publish and Run button and browse to your “Samples” folder, then to the “States” folder, and then click the OK button. Once you have the correct directory selected, click Go. This may take a few minutes as it clears the data off the display module and replaces it with the sample application. Once the process is complete the display module will restart its viewer and you should see the sample application. Click the Page 1 and Page 2 buttons to see Hello World. Now that you have run the sample application, explore updating the code running on the display module. Browse to your “Samples” folder, open the folder called “States”, and double-click the file called “States” to open up the project in Qt Creator (the file may say “States.qmlproject”). Change “Hello World,” to something else. Double-click “Page2.qml” and notice that the text property of this page is “World.”. Change that property and save the file. Now, in G2Link, select the folder “States” in the Publish and Run window like before, then click Go. This will download your change to the display module, and reboot the QML Viewer. You should see your change on Page 2. Your development kit ships with two microSD cards. Keep one of the cards as a backup so that you can always run the demo applications. DO NOT edit files on the backup SD card as you might not be able to get the demo applications running again.